You are here: Virgin Islands News Online » News » $331M Budget! Higher taxes announced with claim that country not broke! Premier Smith gave the public a laundry list of the things his administration has done, mostly projects started by the previous Virgin Islands Party (VIP) Administration but for the most part incomplete. He also claimed that his government is not broke despite a decrease from $51M met when he took office in 2011 under the Virgin Islands Party (VIP) Government in the Consolidated Fund to, as of December 2015, a mere $6M. 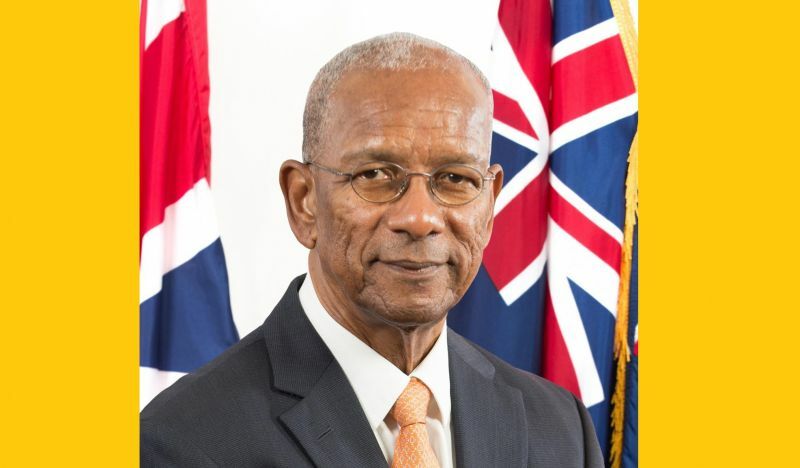 It was the same Premier Smith who said in 2012 when he met $51M in the Consolidated Fund that the VIP of former Minister of Finance Honourable Ralph T. O’Neal OBE had left the country broke but now claimed with the $6M left by his administration that it is not broke. The Honourable Minister of Finance also announced new tax hike on some services provided by government in order to increase revenue. Meanwhile, the House of Assembly’s watchdog body, the Public Accounts Committee (PAC), has been reconstituted. In light of the government’s two members in their first choice; Hons Marlon A. Penn (R8) and At Large Member Archibald C. Christian now holding Ministerial Portfolios, it means they can no longer sit on the House Select Committee. 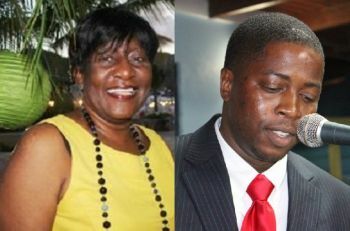 Therefore, Dr Smith has appointed Hon Delores Christopher (R5) and Hon Melvin ‘Mitch’ Turnbull (R2) as its two new Members on the Public Accounts Committee. They were both approved at the Sixth Sitting of the First Session of the Third House of Assembly to serve on the body. The Committee will be chaired by the Leader of the Opposition Hon Julian Fraser RA (R3) and the other Opposition Member will be Hon Andrew A. Fahie (R1). The last report done by the Public Accounts Committee (PAC) was under the Leadership of Hon O’Neal on the controversial Ports Development Project. The PAC report unearthed corruption, conflict of interest, disregard for the laws of the Virgin Islands, unfair practices, undue influence in favour of one developer, disregard for the established tendering process and that no one looking was out for the interest of the people and taxpayers of the Virgin Islands, putting the people at a disadvantage. Let us buckle our seat belts.Turbulence ahead. I seeing not going to be well in the BVI where people are already pressured and them keeping their mouth shut and will allow their country to crumble right under they noses with taxes, taxes and no wages increase.. This is something shown and it's quite upsetting that people just sitting around and not rising up to the real cause to help the country. People, rise up cause if you don't know it's going to get worst until you can't afford to keep your homes etc. U parasites that all u studying bout. The NDP will go down in history as the gov't who left the country broke. Now they are writing imaginary figures for a budget. Now whose eating out of whose hands now. U all want us to eat out of the white man hands now. depending on Sir Richard Branson, David V. Johnson, Sir Paul Allen, Sir Robert Mc Alpine, the billionaire guy in Mustique, SVG and the rest U all rich whites friends to build the airport, and will build the West End Ferry Port the ppl of the VI. We now living in a third world country where u want to impose more taxes on poor ppl. Time for the revolution to take back or country out of U all hands. If the country is not broke then the Govt. need to pay up all your debts! Poor Alvera. Look like she is just making up the numbers. It is no surprise that taxes and fees are increasing, for that is what government do when they poorly managed resources or the cost of services increase due to inflation or growth. Government does not have to compete with others to deliver services; they are the sole provider of some services. They provide non-rival and non-excludable services. Unlike the private sector, government has no competition and no backlash for raising taxes or fees. The public sector has to worry about competition and thus cannot raise prices willy nilly. All residents can do know is to force government to elevate the level of managing resources effectively, efficiently and economically. It was the VIP who built the cruise pier and the airport boss! NDP only expanded the dock and built a couple of overprice buildings. I guess someone won their Super Bowl bet yesterday. The NDP should cripple ayo. RIP my BVI people, cheers to another 4years NDP. Start building strong members, I may move back to the BVI if the corruption diminish. First, though, what on earth does with $1 Million in the bank we are not broke? Now, really, I want to know. Please help. We must pay more while the greedy gluttons eat more leaving just crumbs for the peasants. I want to see this happen here in the BVI enough is enough with all the TV, computer, contracts and selling out hospital services to friends and relatives in the USVI. Good Morning All,when are we going to start the Political Revolution?? I hope we do it before the Zika out break hit us,because the reserve fund going down fast and no money to help locals only Expats Cun Artist.. The country is not brokes but I am broketh.Need a job and cash to pay my bills.